Regardless of your leadership position or the relationship you have with others, when you speak--your words influence lives! Award-winning author James Watkins examines biblical and behavioral principles for persuasive communication and the practical ways you can enhance your leadership of others through the power of the written and spoken word. Christin Taylor lives in Gettysburg, Pennsylvania, with her family. She has lived and worked with college students since 2008. Christin teaches writing and is author of Shipwrecked in L.A.: Finding Hope and Purpose When Your Dreams Crash. 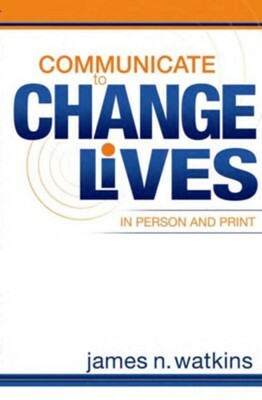 I'm the author/artist and I want to review Communicate to Change Lives in Person and in Print.